Creative briefs are an essential communication tool for ensuring that a project is well-understood and all parties are aligned on objectives and requirements. By investing the time to write a clear brief up-front, you can pitfalls of unnecessary rework and cycles of back and forth in accomplishing a project. 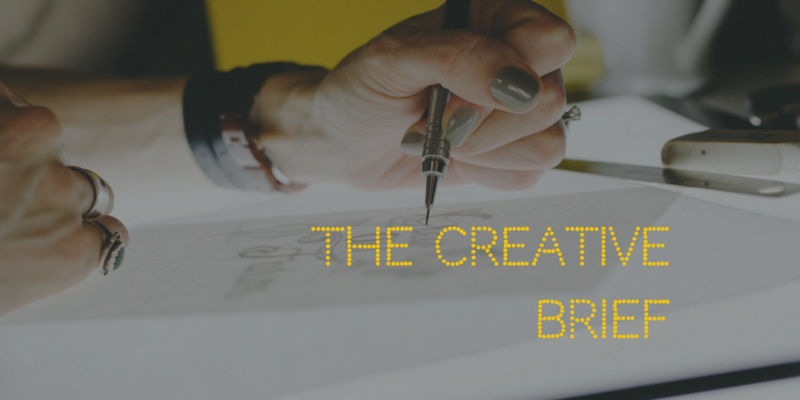 A creative brief is a document outlining the objective, strategy, and goal for the project to the overall working team. It helps get everyone on the same page from the start and defines what success looks like. The team can be composed of any number of internal and external stakeholders but often includes the agency or designer, copywriters, and anyone else who will be working on the project. Depending on the scope and complexity of the project, creative briefs can often take on many forms so long as they achieve their overall goal of getting everyone aligned and on the same page. Your brief should provide the information that your team needs while being concise enough that it stays readable. But is there a prescribed length? In Berman and Blakeman's book "The Brains Behind Great Ad Campaigns" they write "There is no prescribed length for creative briefs, but they are usually no more than one or two pages long." Target audience profile - who the target audience is and how should we talk to them? What are their current beliefs and our desired beliefs? Here is a creative brief template including some examples of content. The Toyota Sienna mini-van. It is competing in a much-maligned category and losing market share. The Toyota Sienna has gone from 29% to 19% in one year. With more category competition, the Sienna needs a significant idea to regain market share. Overcome lost market-share. Make the Toyota Sienna a purchase that is not embarrassing for younger parents. Significantly increase consideration among target audience. InSync Traditionalists: Moms and Dads with attitude. Proud and happy to be parents, subscribe to family values, but they were professionals before they became parents. They are hip, smart, and in sync with the new technology. They are connected to media, Internet, and pop culture. They currently think the product is functional and reliable, but not in line with their personality. Believe that the Toyota Sienna is actually cool enough and stylish enough for them, the parents, not just designed with the kids in mind. TV, print and outdoor to provide the high level of awareness we need. Online and YouTube to up the fun quotient and because InSync Traditionalists live there and share content. Build cohesive assets and storyboard which can be adapted across multiple formats: long-form TV commercial, short Internet video ad, online banners, billboards, bus and subway wraps. Every word counts. Lesya Lysyj, former CMO of Heineken, gives the advice to be "ruthless with the words you choose. No 'ands'. This brand does this AND that. It tastes great AND is low fat. It is beautiful AND functional. It is fast AND efficient. No. Pick the one main thing." As the blueprint for your creative, briefs need to be exacting and precise. Avoid the trap of simply downloading a template and filling it out like it's a tax form. Rather, edit your brief down for clarity and reduce the ambiguity in your message. Have the critical discussions early. Briefs are sometimes developed in a form where the designer interviews the clients and documents requirements in a brief, or otherwise the client may write it themselves. Whatever the case, make sure that you review the brief and have the discussions up-front on any outstanding questions or key messages. By having the discussions early, you can reduce the likelihood of wasted time and money, miscommunications, and multiple revisions. Don't be afraid to revisit your brief. As plans change and new information emerges, briefs can change too. While you should try to avoid too many rounds of revisions, they are also not iron clad and set in stone. Briefs are a useful collaborative tool to get everyone on the same page, and as the project shifts it's important to keep the brief up-to-date and the team in sync. There's more to producing a great brief than simply sitting down and writing it. Notejoy can help manage the end to end process from writing the brief to collecting feedback between rounds to delivering the finished product. How are you collecting feedback and incorporating it into the next revision of the work? Is there a discussion taking place with the right people involved? Notejoy is an effective solution for teams that want to collaborate on creative together. It fundamentally changes the way that work is done by bringing all collaborators, inside and outside of the organization, into one shared space. Bring Internal and External Stakeholders Together - As a cloud-based solution, Notejoy allows you to share your content drafts with internal and external collaborators. These collaborators can view, discuss, and comment on content pieces as well as feel secure that they are viewing the latest version. Get Everyone on the Same Page - Updates made in Notejoy are synced real-time across all users and devices. Rather than losing details in emails, Notejoy helps you keep the conversations in context by enabling discussions directly in the note itself. Improved Search and Visibility - With everything from new research to creative feedback to discussions documented directly in Notejoy, teams can keep details in context and maintain one system of record for everything that happened. Manage who has access to what information, and enable team members old and new to get up to speed.